Meet Gus! 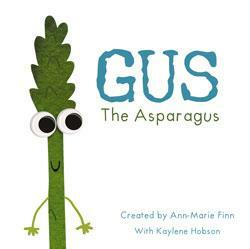 Gus might be the only asparagus in his family, but he is happy. However, when he goes to school he starts to realise that he doesn’t always ‘fit in’. Gus is here to help kids understand that it’s okay to be different. He will soon become a favourite with anyone who has ever felt a little bit out of place — kids and adults alike.